It’s that time again: time for LETTERS/X to close! If you haven’t purchased your tickets yet, we highly recommend doing so in advance… closing weekend WILL sell out! Call (773) 935-6100 to grab your seat for the final weekend of Chicago’s favorite stab at love– Letters/X! Do you have your tickets yet? Well, better hurry… cause this weekend is headed to SOLD OUT quickly! DON’T MISS THE TENTH ANNIVERSARY YEAR! Purchase tickets today before they sell out! Call Apollo Theater’s box office at (773) 935-6100. Letters/X runs Thursdays-Saturdays at 8 p.m., through March 2. Catch us on WBEZ 91.5 FM this Wednesday between 8:50 a.m. and 10 a.m.! Wow! Letters/X™ is so pleased to announce we’ll be LIVE with Tony Sarabia on WBEZ’s The Morning Shift this Wednesday, February 13, between 8:50 a.m. and 10 a.m. Tune in 91.5 FM to hear the ensemble perform live… and a special interview with our adaptor and compser Anthony Roberts! Tickets are now on sale for the tenth anniversary year of Letters/X™! Call the Apollo Theater box office at 773.935.6100 to purchase your ticket in advance, and take advantage of the $12 rate. 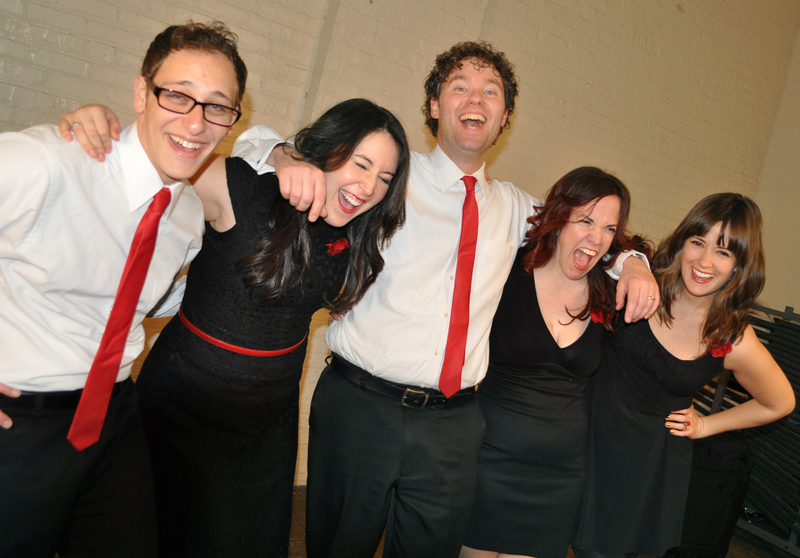 Letters/X™ runs Thursdays – Saturdays, January 31 – March 2, at 8 p.m.
Plan early for Valentine’s Day! Our annual performance of Chicago’s original anti-Valentine’s Day cabaret is the P E R F E C T alternative to boring “romantic” dinners and crappy fake “champagne”. Take your sweet honey-bunny love-dove to LETTERS/X instead — plan ahead for Thursday, February 14 because tickets WILL sell out! With less than 30 days until the opening of the tenth year of Letters/X™, we’re getting super excited. Have you made your plans yet to join us for opening night? Call the Apollo Theater box office at (773) 935-6100 and get your tickets for Thursday, January 31! In its 10th year of production, Letters/X™ seeks to cast three actors in its annual cabaret. Actors should be adept with at least one musical instrument and should be comfortable, confident singers. Casting is entirely blind with regards to gender, race, sexual orientation, or any other signifier– all are welcome to audition! Actors must submit for an audition slot no later than Tuesday, December 4, at 5 p.m. Submit resumes and headshots to Matthew Zaradich, director, at matthewzaradich@gmail.com. Please type “LETTERS/X AUDITION” in subject line. Letters/X™ plays at The Apollo Studio Theater. The show opens January 31 and closes March 2, with rehearsals throughout January. There is some pay.